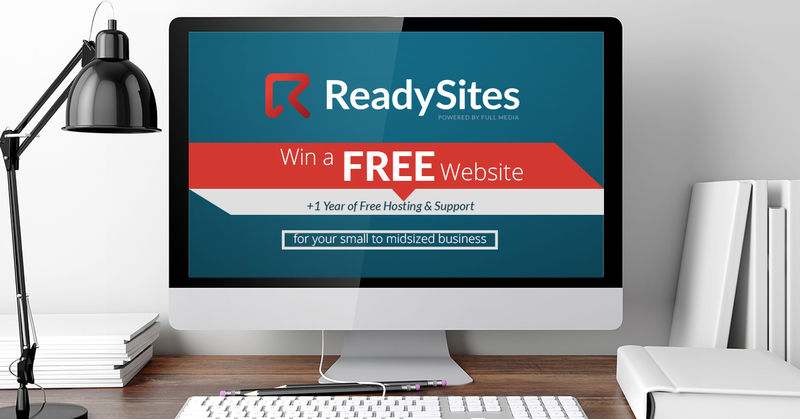 Small to midsized businesses can enter to win a free ReadySite plus one year of hosting and support by filling out this simple form. Any small to midsized business based in the United States is eligible. Signing up is easy - just make sure you do it before May 1st, 2017. ReadySites are professional websites developed by Full Media that are tailored to the needs of small to midsized businesses. "We love the way our new ReadySite turned out and the ongoing support from Full Media has been second to none,” said Jack Silberman, Partner at Reliance HCM. The process is easy. Select your theme, send your branding, and Full Media builds your professional new website in a matter of weeks. If you have questions, learn more about ReadySites or contact us. How Do I Enter to Win a Free ReadySite? Simply fill out this quick form on the ReadySite Contest page, and your business will be entered to win. You must be 18+ and represent a small to midsized business located in the United States to enter. The deadline to enter is May 1st, 2017.